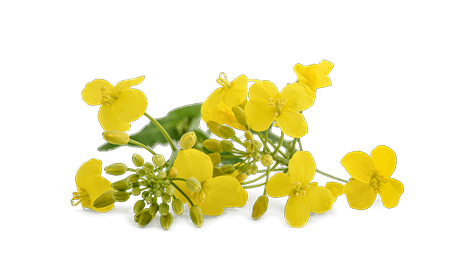 Rapeseed oil, also known as coleseed oil, is made from coleseed or rapeseed. Rapeseed oil mainly contains unsaturated fatty acids. This oil is often blended with other vegetable oils. Rapeseed oil mainly originates from countries like Germany and the Czech Republic. In general, this product is yellow in colour and has a neutral flavour. Rapeseed oil is suitable for all uses and is commonly used for blended oils. This is because rapeseed oil has an excellent fatty acid composition. You can use rapeseed oil for frying and deep frying, but it is also perfect for salad dressings.